We have been able to cater to the various requirements of clients by providing a wide gamut of Everyday Milk Vending Machine. Our vendors make no compromise on raw material and quality while manufacturing these machines. In order to meet the variegated requirements of our clients, we are offering this range in various sizes, design and custom-built models. For their compact construction and reliable performance, our range is widely appreciated in the market. 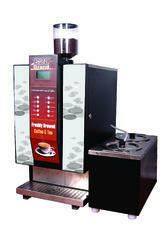 We offer Fresh Milk Dispenser Machines and Everyday Milk Vending Machine in this range of machines. 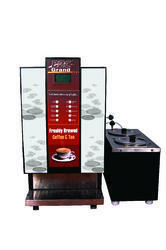 Chennai beverages brand offers the bean fresh milk coffee vending machine for offices, schools, college, educational institution and canteen. In bean fresh milk coffee vending machine gives you nine option beverages. 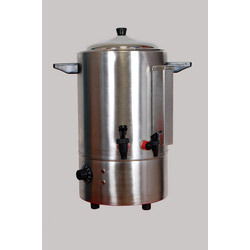 With firm commitment to quality, we are supplying and dealing in a comprehensive assortment of Milk Dispenser. Precisely engineered, these products are manufactured using superior quality raw material and other components with the help of modern tools and technology by our vendors. These products are tested on various parameters to ensure that these products are flawless. Looking for Milk Vending Machine ?